A detachable lipstick bullet cup carrier is the new feature of Kindu’s latest slim lipstick. 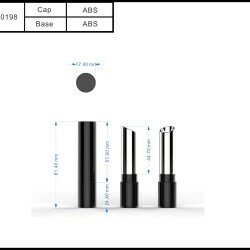 Kindu Packing’s latest slim lipstick design benefits from a detachable bullet cup carrier for users to replace the lipstick bullet and reuse the plastic shell repeatedly. The replaceable bullet carrier enables brands to justify a number of beneficial claims, including user-friendly, easy-to-use, and a sustainable solution for cosmetic products as a re-usable product. The elegantly designed slim lipstick, ref. 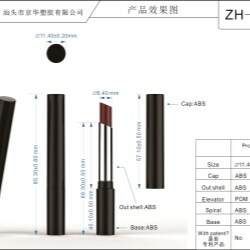 ZH-K0215, is composed entirely of plastic parts (ABS, POM). With Kindu’s advanced, skillful tooling and injection team support, the packaging is resplendent with a plastic gloss surface that shines without further treatment. 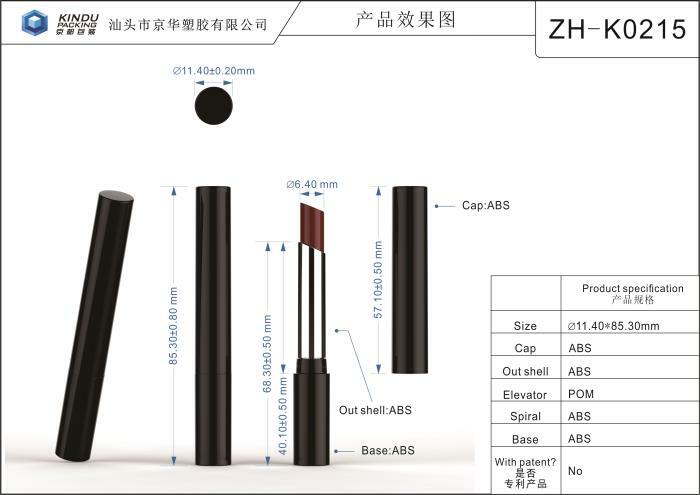 The twist action of the lipstick functions well and smoothly for easy repeated application. Kindu also offers a shorter version of the slim lipstick in a similar style, ref. ZH-K0198, which doesn't have the replaceable bullet cup carrier feature. Kindu's team will attend Cosmobeauté Indonesia 2018 at booth F16 from 11th – 13th October 2018 to introduce its unique and patented designs.